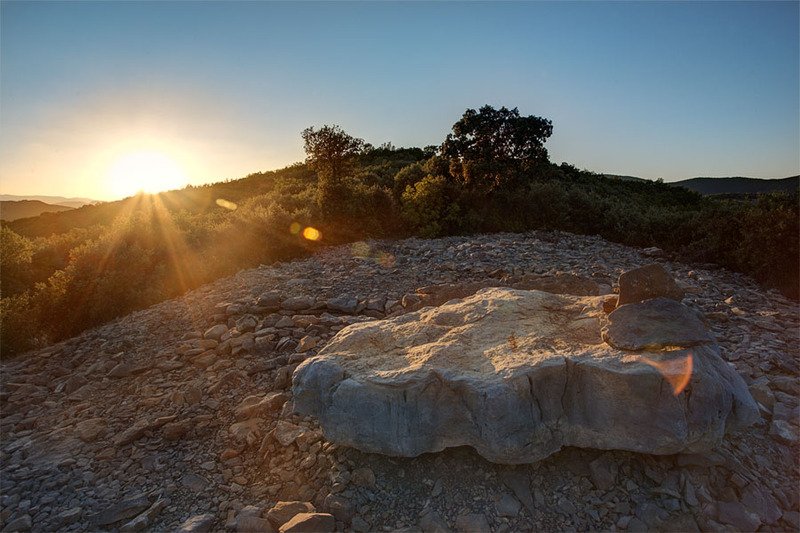 Sunset over a prehistoric grave in Mialet, South of France. Beside seashore beaches, I think this is the best place to watch a sunset. tenth of hills upto horizon who slowly fade away in the evening night.